My work in New Moon Rites of Passage is "Integral" — it comes out of a worldview that understands the cosmos as a creative evolutionary process that has specific developmental patterns, and that everything in the Universe is spirit in action. Human beings, as the Universes' experiment in self-reflective consciousness, go through predictable developmental stages, both at the individual and the collective level. We are presently coming into a 'second tier' level of consciousness, which is a huge jump from where we've been, and has far-reaching implications for how we navigate our future. Integral Theory is a comprehensive map of human knowledge systems across history and cultures that has been developed by philosopher an author Ken Wilbur over the span of his prolific 40 year career. I teach a personalized five-session introductory course on Integral Theory. Find out more here. Ecopsychology is a relatively new area of human self-awareness that has grown out of the deep ecology and other movements of the 1970’s in response to the growing global environmental crisis. Some of its formative thinkers include Arne Naess, George Sessions, and Theodore Rosak. Its basic tenets state that all life on the planet has intrinsic value and is inseparably bound up in a web of interrelatedness—not only physically, but energetically and spiritually as well. 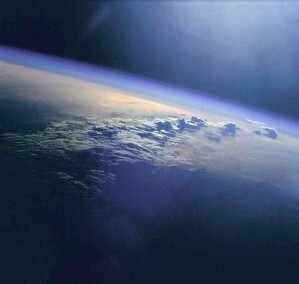 Our well-being cannot be separated from the well-being of the planet. Ecopsychologist study the implications of these ideas and offer theories and practices to heal the split that has occurred in the minds of modern humans between the health and wholeness of the biosphere and our own health and wholeness. Contact me to learn more. "When Kinde steps into a room of students and engages them with ideas about ecopsychology you can see their posture change. She invites attentiveness and delivers with her presence, her clarity and humor. Having watched her do this on several occasions I can attest to the fact that it is not an accident. She has a gift for communicating ideas, and these are ideas that truly matter." — Stephen A. Goldsmith, Director, Center for the Living City; University Professor for Campus Sustainability Associate Professor, Department of City & Metropolitan Planning, College of Architecture + Planning, University of Utah. Contact me here about teaching! Leadership today requires an integrated ability in both the inner and the outer: the inner of personal presence and grounding, and the outer of collaborative process and collective intelligence. The Inner and Outer of Evolutionary Leadership Series (IOEL) is about deliberately expanding perspective, growing leadership skills, cultivating community, and growing courage for personal and collective action from an evolutionary framework. Learn more about our current offering here. In a 40 minute presentation, I outline the basic definition of ecopsychology and make a case for the critical need for each of us to awaken to our own deep interrelatedness to the web of life on planet earth. First, speaking to the split that has occurred between humankind and nature, I offer a perspective through a developmental lens that is one explanation of why this split has occurred. I then speak of current developments in neuroscience in terms of patterns of attention and corresponding somatic (in the body) reactions—making the point that our modern patterns of attention of not developed in a balanced way. The study of attunement by developmental psychologists and neuroscientists is then examined to wrap up the case that we need nature and the ineffable qualities of nature for our own wellness. 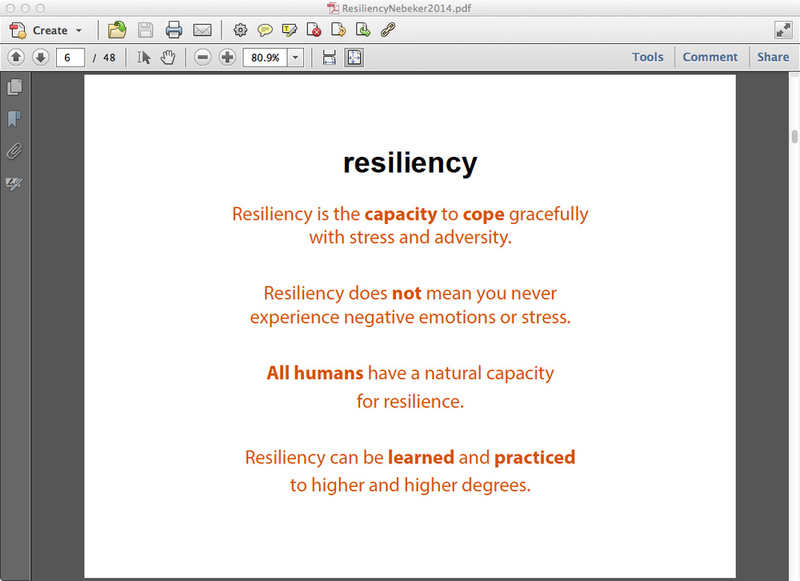 This 45 minute presentation addresses 'resiliency' — or the ability to deal with stress in a positive way. Drawing on Gestalt principles of design, brain structure, and our capacity for different states of attention, I create a framework and a case for actively creating open space in your life and in your mind for maximum emotional, physical and spiritual health. Specific practices are offered to open psychological space, including 're-wilding' practices based on ecopsychogical principles and ancient human wisdom. This 30 minute presentation weaves an entertaining tapestry exploring the psychological and spiritual roots of the human drive toward perfection and how we somehow get mired down on the way. I explore the drive for perfection, the Shadow of the human psyche, and our individually unique genius of our soul and how these ingredients work together, if we are willing to do the work, to revealing our true purpose. Contact me here to be your next speaker!